We handpicked five of the best and trendiest bottles for women, so you can stay hydrated on the go. In the Women Entrepreneur series Up Your Game, we scope out the best products, apps and services to help make it easier to take your game to the next level. 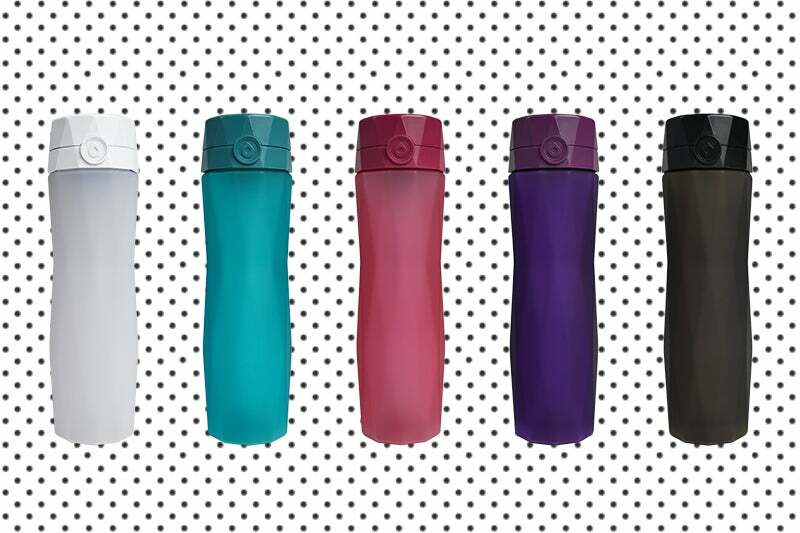 Reusable water bottles might be trendy, but they’re also trending. The number of people Googling the term has risen steadily since 2004, and the market valuation is expected to surpass $10 billion by the year 2024. The inception of new stylish water bottle brands has driven the industry forward, in part, with popular bottle brands exhibiting new collections, designs and color choices. But style isn’t the only reason reusable water bottles are on the rise -- they’re also a smart choice for the environment. More than 18 trillion pounds of plastic has been produced to date. To put that in perspective, imagine close to 103,000 airplanes stacked on top of each other. And just 9 percent of plastic waste is recycled. By simply trading your Dasani or Aquafina for a Soma or S’well (or any other reusable water bottle), you can do your part to reduce plastic waste. Convinced? If you’re looking to invest in your own reusable, you’re in luck. We dug into features, reviews and design to lay out our top picks for workplace water bottles. What We Love: The creators of Hidrate Spark married technology and health with this smart water bottle, which comes with both a sensor and an app to automatically track your progress towards your daily hydration goal. The bottle glows periodically to remind you to drink up, and it syncs with fitness trackers like Fitbit, Apple Watch and more. Another perk? Thanks to a long-lasting replaceable battery, there’s no charging required. What We Love: If you balk at the taste of water or you’re passionate about fruit, the Citrus Zinger could be your new bottle bestie. Inside is a special compartment for fruit that includes a citrus press, specially designed for the likes of lemons, limes and clementines -- and each time you add ingredients, your water should taste infused for about two bottle servings. Each bottle is also BPA-free and dishwasher-safe. 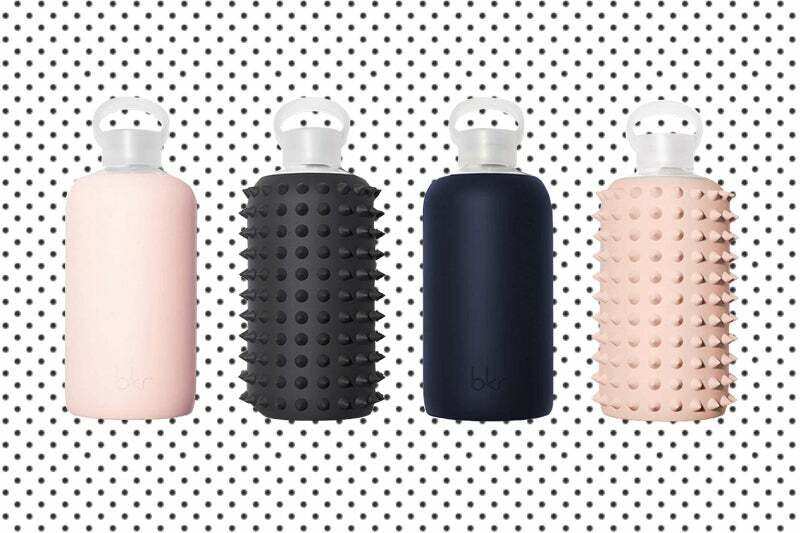 What We Love: The bkr bottles are made of glass, with silicone sleeves that come in a host of different choices. Design options include spikes, stars, solids and hearts, and bottles are sold in trendy colors like “opaque socialite sweetheart pink” -- and “inspired by a Fellini-esque evening of brushing cheeks, making ‘muah’ sounds and posturing in a pink hotel,” according to one product description. 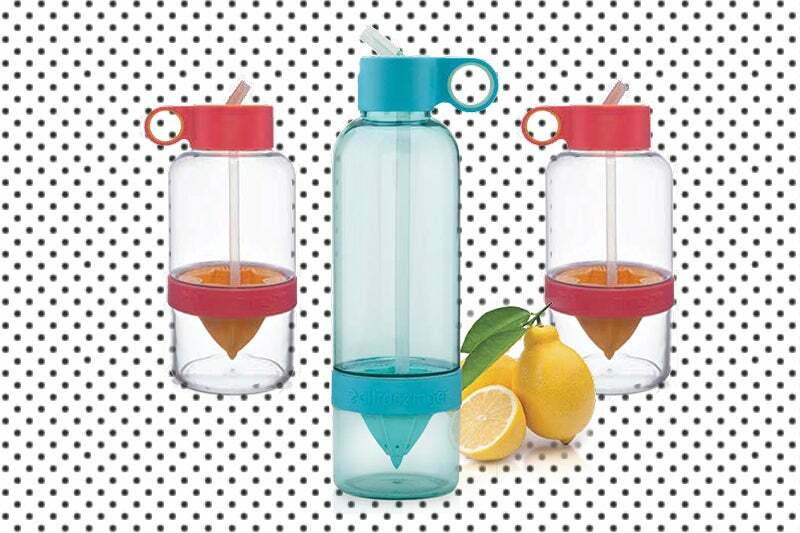 The bottles are BPA-free and dishwasher-safe, and they come with a 90-day guarantee. 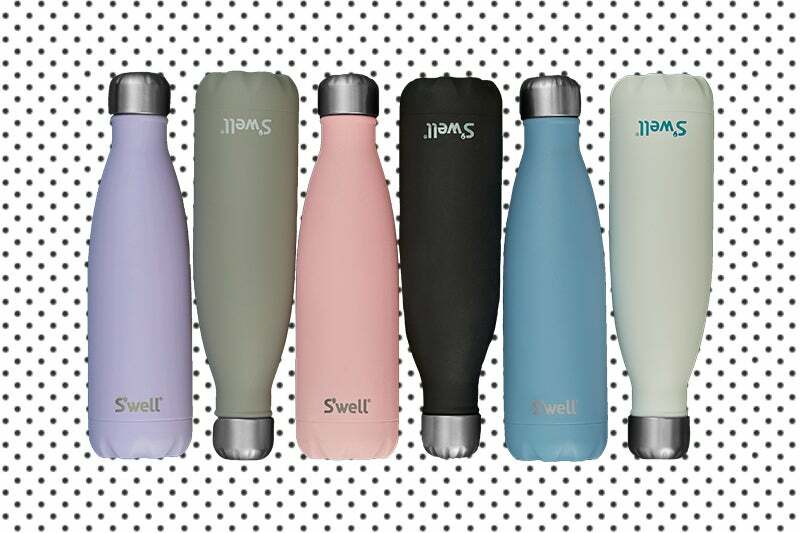 What We Love: Those picky about water temperature should appreciate S’well’s promise to keep beverages cold for 24 hours or hot for 12 hours, and each BPA-free, stainless steel bottle is “triple-walled” to prevent condensation. Trendy new collections are released consistently, with designs ranging from elements (“Abalone Shell,” “Calacatta Gold,” “Mother of Pearl”) to metallic (“Rose Gold,” “Titanium,” “Emerald”). Founder and CEO Sarah Kauss calls S’well the fastest-growing woman-owned company in the country, and since 2015, it has committed $800,000 to provide clean water to those in need via UNICEF USA. What We Love: One key drawback of most water bottles? They tend to fit a bit awkwardly in bags -- especially if you’re heading to or from work with a purse, tote or briefcase. 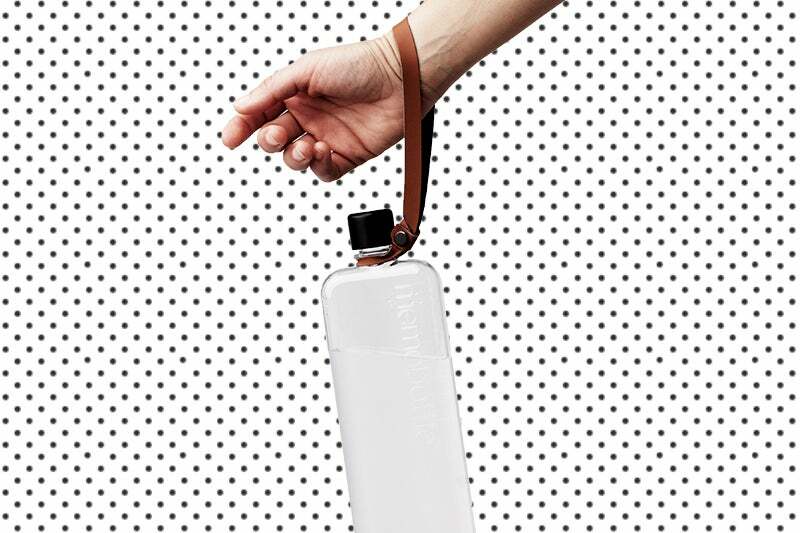 The eco-conscious co-creators of Memobottle sought to address this issue by designing a flat water bottle to fit easily alongside laptops, books and other items. These clear, BPA-free bottles come with recycled cardboard packaging. Another perk? Through the company’s partnership with Water.org, each bottle sold provides one person with two months of clean drinking water. Tired of Sitting at Work? Try These 5 Top-Rated Standing Desks.